Every once in a while a new study emerges claiming to have found out the best method for working out. The truth of the matter is that your workout greatly depends on what you aim to achieve. People who want to pile up muscle mass, would surely train differently than those who prepare for a marathon. However, there are some recently emerged workout trends aimed at improving your general fitness, which also trigger ideal metabolic after-effect, which sometimes burn the calories even 48 hours after you have completed your training session. All of them share some common characteristics: they employ the circuit approach to resistance training, heavier weights, training multiple muscle group in rotation, and alternating the exercises with as little rest as possible between each exercise. On the basis of these principles, the exercise scientist Jeffrey M. Willardson, who works at Eastern Illinois University as an associate professor of Kinesiology and Sports Studies, has designed a workout protocol. It consists of a circuit of ten exercises should be performed in single sets with 10 to 15 repetitions each, using weights that are sufficiently heavy to tire down your muscles without completely exhausting them. 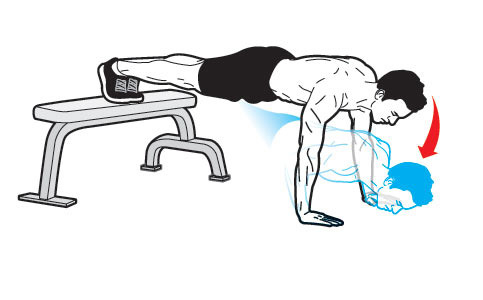 The circuit of exercises should be performed with minimum rest between movement. According to the author, the circuit of ten exercises should be ideally repeated three times in a session, every other day. Stand with your feet separated at shoulder width. 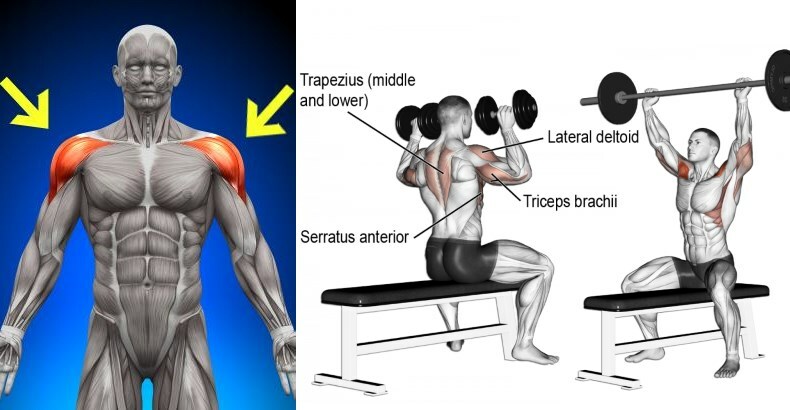 Sit back into a squat with the dumbbells above your shoulders. Remember to keep your chest high, and your elbows bent. They should be kept close by your body. Inhale during this movement. Then, exhale and return to the starting position. 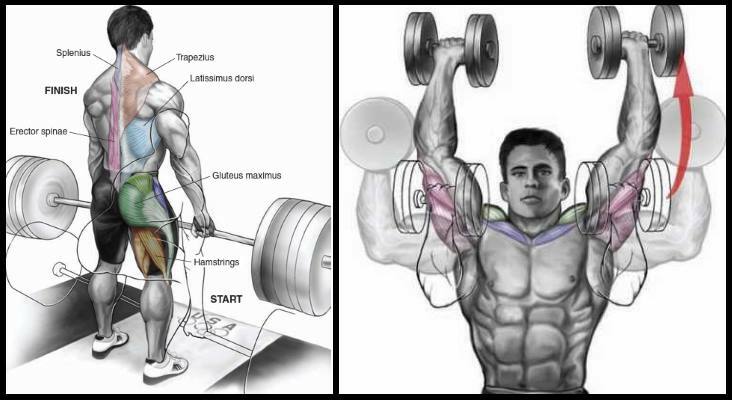 Take the dumbbells in your hands with your fingers faced forward. Positioned them next to your ears, with your arms bent at the elbows. Relax your legs and put all your force into the press. Take a deep breath and press the dumbbells above your head exhaling in the process. Try pushing them up simultaneously. Slowly bring the weights down putting some resistance in the downward movement. Stand with your legs shoulder width apart, with your feet close to the bar. Grab the barbell and deadlift it so that that bar hanging at your waist. Slowly start bending your back at the waist, letting the barbell hand at knee height, but avoid letting your shoulders drop. 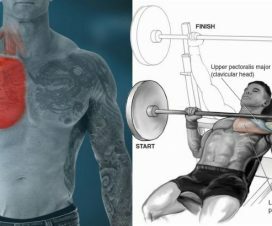 Start rowing the barbell toward your chest, exhaling in the process. Press your shoulder blades at the top of the movement. 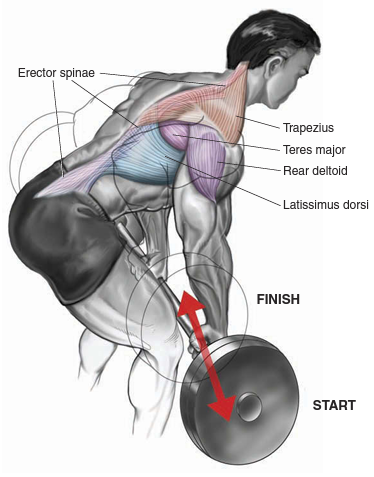 Return to the starting position by slowly lowering the barbell down. Take the dumbbells and let them hang by your sides. Stand straight with your feet placed closer than shoulder width. Gently step forward with one of your legs and bend your knee so that it creates a right angle (90-degree angle). At this moment, you should also be bending the back leg, standing on the toes. Inhale as you go down, and exhale on your upward movement. Switch legs after an even number of reps. 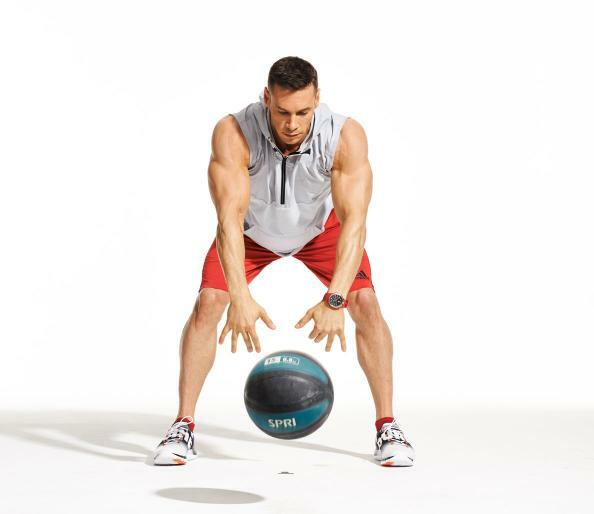 Sit on a stability ball with dumbbells in your hands, resting on your thighs. Roll down your body on the ball, taking it under your upper back. Your knees are bent at right-angle, with the feet right under them. 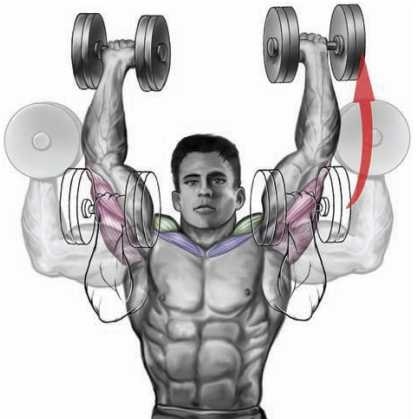 Take the dumbbells so that they press at your chest. Your elbows should be bent and pointing to the sides. Make sure that your hips are up, and that your spine is elongated. Avoid letting them drop. 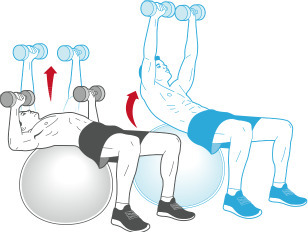 Take a deep breath and press the dumbbells above your chest until you arms are straight. Exhale during the movement. Lower the weights back down, inhaling. 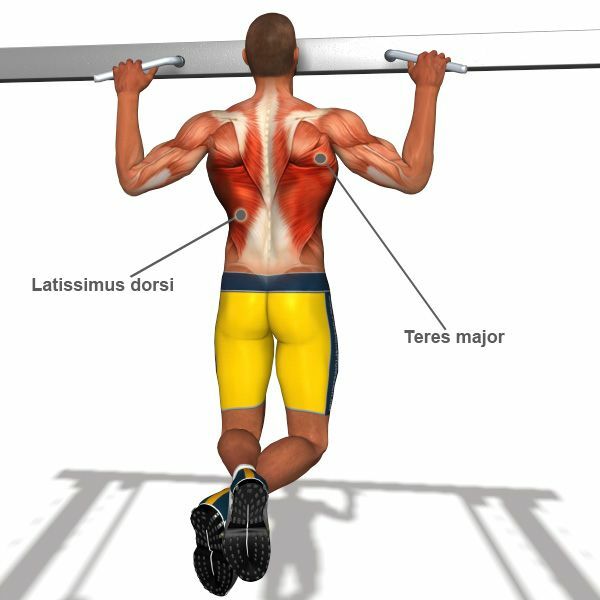 If you cannot handle the traditional version of this exercise, you can do it on an assisted pull-up machine. Place your hands on a bar, 6-8 inches wider than shoulder width. Grab the bar with fingers facing away. Take a deep breath and start pulling your body up until the chin is above the bar. Exhale as you lift up. Inhale as you lower your body down slowly and in controlled manner. Take the dumbbells and let the hang by your sides. Stand in front of a box or a bench. Place one foot on the raised platform and step up onto it. Step back again, using the same foot, and repeat the process with the other foot. That counts as one rep. Exhale as you step up, and inhale as you step down from the platform. Stand with your feet at shoulder width. Take a soft medicine ball, in your arms lifting it above your head. Inhale in top position, and exhale as you slam the ball into the floor with all your strength. Tray to catch it as it rebounds, and repeat the movement. Sit on the floor in front of a weight bench. Position the back so that the shoulders rest. on the bench at right angle with the floor. Bend your knees and place your feet on the floor. Rest the barbell on your hips. Hold the barbell firmly in place with your hands and inhale. Exhale as you start pressing the hips upwards, resting with the shoulders on the bench, and your feet flat on the floor. Take your body to flat position, so that your torso is parallel to the ground, and your knees bent at right angle. Slowly start lowering the hips beck to the ground and inhale. Place your feet up on a bench and assume plank position. Inhale as you start lowering your chests toward the ground. Avoid taking your elbows away from your body, but keep them tucked back. Push up and exhale.